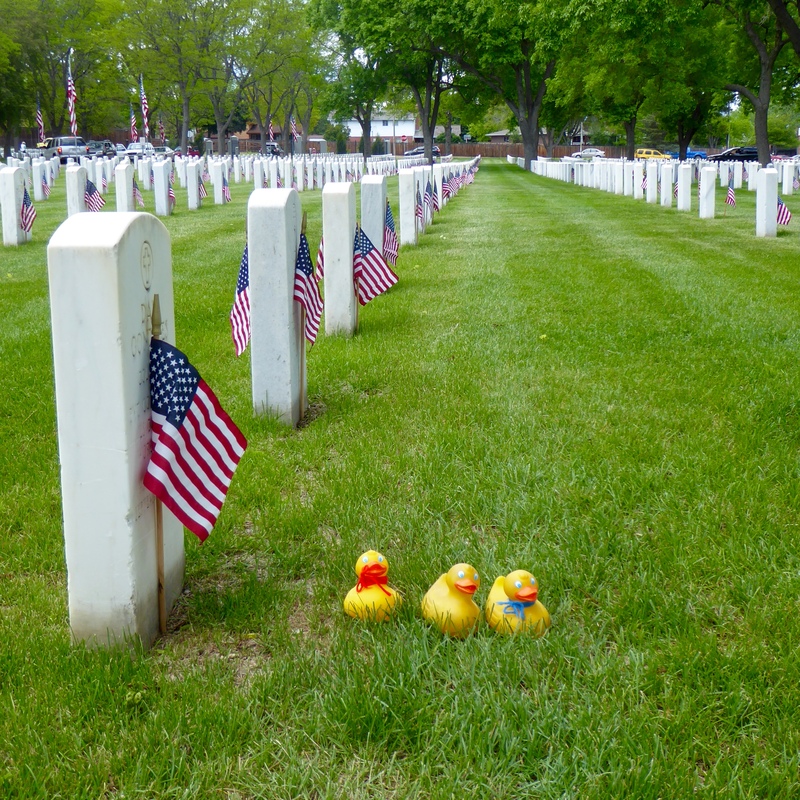 We, the Colorado Traveling Ducks, and our humans wish you all a happy Memorial Day. In 1967 Memorial Day became a Federal Holiday, celebrated the last Monday in May. We thank all who serve to defend and enhance our freedoms, and we honor all of those that gave their lives for our freedom and our way of life. This entry was posted in Holidays, Uncategorized and tagged Colorado Traveling Ducks, Memorial Day. Bookmark the permalink.